Wattamolla to Eagle Rock bushwalk, Royal National Park. Wattamolla to Eagle Rock is an excellent walk along one section of the 30km Royal National Park coastal track. The distance of the Wattamolla to Eagle Rock bushwalk is around 7.5km return. 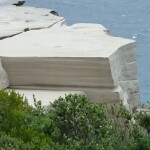 This is a great way to see some of the coastline along the Royal National Park cliffs. Eagle Rock is a great place to hang out and have some lunch before making the trek back to Wattamolla. The Curracurrong Falls dropping into the ocean in-front of this Eagle coming out of the cliff is something to see. 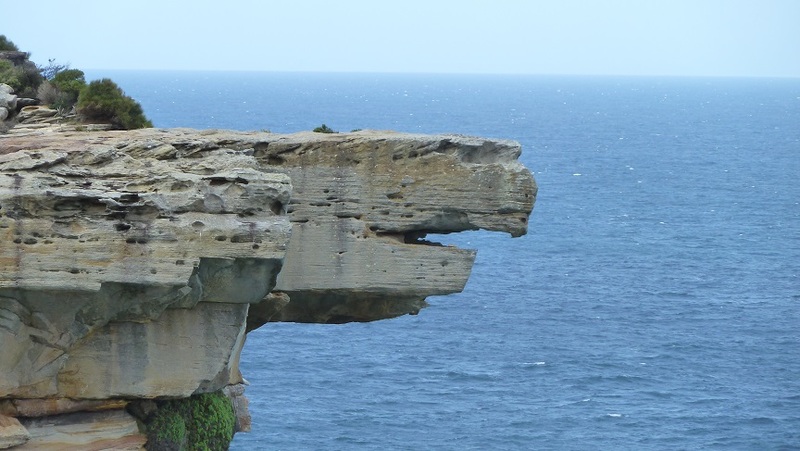 It’s my favorite amongst the Royal National Park big three, Figure 8 Pools, Wedding Cake Rock and Eagle Rock. This is just another awesome bushwalk in the Royal National Park. If you do this hike between May and November you’ll have a great chance to spot a whale. I went with my wife in late May and spotted a couple of whales along the walk. See youtube clip below. We also spotted a couple while having lunch at Eagle Rock. It was amazing how close they were to the cliffs. Youtube clip of the whales we spotted while bushwalking from Wattamolla to Eagle Rock. Other Royal National Park highlight’s. 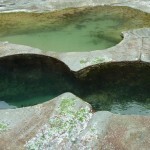 Below are links to the Figure 8 pools and Wedding Cake rock bushwalks. Directions to Wattamolla and Eagle Rock Bushwalk. Google Link Map. Head through the heart of the Royal National park on Sir Bertram Stevens Drive. Then turn onto Wattamolla Road. There are large signs to Wattamolla so its hard to miss. Drive to the end of Wattamolla Road and you’ll hit the car park. The track to Eagle Rock starts from the southern Wattamolla car park. See map for details. Wattamolla to Eagle Rock Bushwalk Trail Map. Photo Gallery of Eagle Rock. Youtube clip of the whales we spotting while bushwalking from Wattamolla to Eagle Rock. Wattamolla to Eagle Rock bushwalk youtube clip. Royal National Park bushwalk, Wattamolla, Eagle Rock, trail, track, trek, hike, Royal National Park Coast track.